Verandah Retreat is a light filled property, offering luxury accommodation on Phillip Island, one of Victorias most beautiful coastal locations. Located in the heart of Cowes, a short stroll from one of the most majestic beaches on the Island, this family, pet friendly property aims to deliver exceptional 5 star facilities. Inside the home you will find decor that’s hard to categorise in terms of style. Tables stacked with books, aged hardwood floors, feature pendants, woven rugs, plantation shutters, restored furnishings and tokens of travel - all drawn together to create a relaxed, memorable place for friends and family to come together. 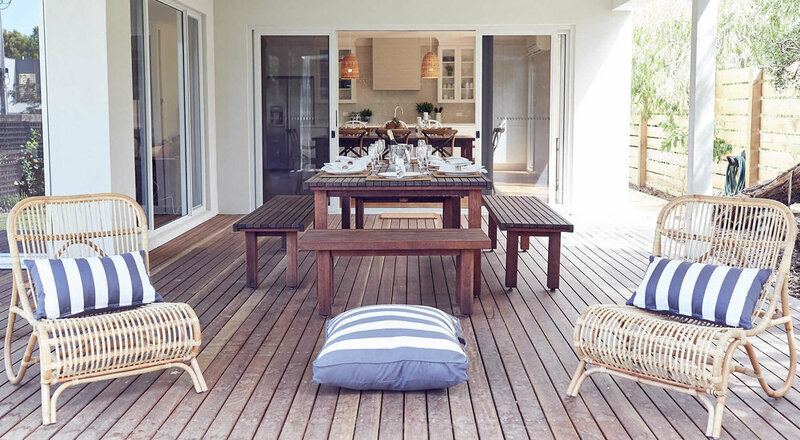 The home is built around the Verandah - the ideal spot for entertaining with a generous outdoor dining table, sweep fan and BBQ, the perfect spot to settle and watch the sun set in the evenings. With the option to open up the retractable doors and let in the light sea breeze, inside you will find the indoor dining and fully equipped kitchen complete with coffee machine and all the small things like salt, pepper, oils and spices you will feel like this is your home away from home. If cooking is your thing, help yourself to some fresh herbs or a lime from the garden, all there to give you a memorable holiday experience. This home is also a lovely setting for couples and families with ground floor master bedroom and lots of spaces for people to enjoy slow time. 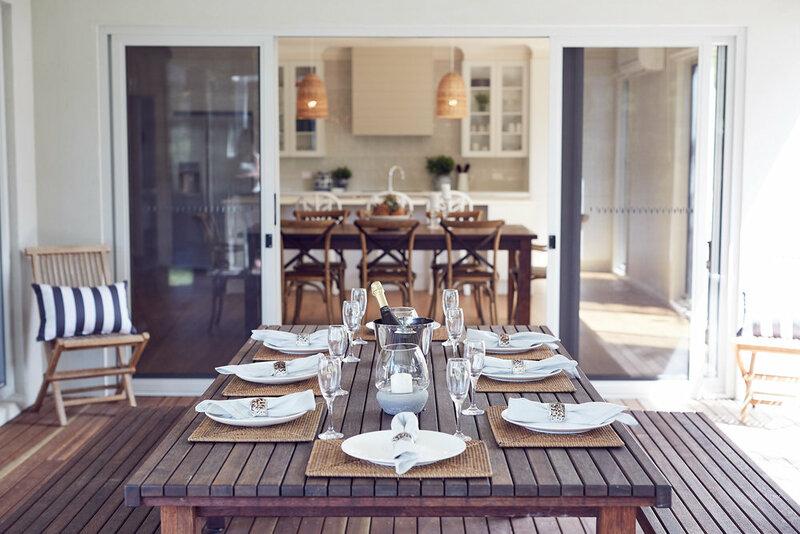 Whether you wish to connect, retreat, wine or dine, there’s a space for everyone at Verandah Retreat and we are proud to offer this type of boutique accommodation on Phillip Island. Whether you are visiting for a weekend retreat, wedding reception, beach holiday or any other type of stay, come and experience the beautiful Phillip Island; one of Victoria's hidden gems.
" It’s such a beautiful property and definitely made us feel even more special for our big day! You’ve thought of so many little touches to make the stay perfect and memorable so thank you for allowing us to stay! We will absolutely be back!
" The house is amazing with lovely style and separate space for the kids to play. The kitchen and whole house were very clean and well stocked with essentials. The outdoor alfresco and landscaped yard made it even better. We will definitely be returning here for another holiday and would highly recommend it to families wanting that homely feeling while away "